Fultone Mortar 8 - Lightweight, high strength, low shrink polymer modified rendering, patching and topping mortar material - made available in any colour. Supplied as a ready-to-use single-component dry mix powder, Fultone Mortar 8 is a high technical quality, high performance, mortar preparation that is both durable and lightweight. Made available in virtually any colour, including ‘concrete grey’ Fultone Mortar 8’s load-bearing, ‘low-shrinkage’ formulation makes it ideally suited for use as a brick/block laying mortar, a wall rendering mortar, a lightweight floor or pavement screed / topping, or as a high strength patching/filling material. Fultone Mortar 8 incorporates patented E-Spheres® technology to deliver an exceptionally strong and durable finished product with an approximate weight of only 1510kg/m3 - which is significantly lower than the typical 2,400kg/m3 weight of regular 20MPa concrete. When set and hardened, Fultone Mortar 8 provides an impermeable watertight material with high flexural strength. Importantly, Fultone Mortar 8 gains compressive strength, tensile strength, bond strength and hardness considerably faster, and to significantly higher degrees than standard mortar. When thoroughly mixed, Fultone Mortar 8 is easy to apply, with a smooth ‘buttery’ consistency, easy trowellability and outstanding float finishing characteristics. A copy of comprehensive test results completed by the independent laboratory, Brick & Mortar Laboratories Pty Ltd can be supplied upon request. • Colourfast coloured jointing mortar for the laying of bricks and blocks E-Spheres® are strong, hollow ceramic micro and macro spheres available from Ability in seven different particle size ranges. • Can be custom ‘colour-matched’ for large projects. Fultone Mortar 8 is supplied as a free-flowing single component powder, ready for mixing into clean, potable (drinking quality) water. In warm / hot weather conditions, crushed ice or ice cubes may be introduced and dissolved in the mixing water (prior to measuring its volume proportion) to lower the temperature of the mixed wet mortar and retard the setting time. Alternatively, in low temperature conditions, hot water may be used. The product is easily prepared by power mixing for the specified time with the specified proportion of clean potable water. If adequately mixed the resulting mortar has a smooth ‘buttery’ consistency which is easy to trowel-apply, float and finish. Fultone Mortar 8 is packed in 20kg multi-wall paper sacks incorporating a moisture proof laminated plastic inner-wall for easier, cleaner handling. The recommended proportions for Fultone Mortar 8 is 5 parts (by volume) of powder to 1 part of drinkable (potable) water. The powder should be added slowly to the water during mixing, and mixing should continue until a smooth, semi-flowable mixture is achieved. Fultone Mortar 8 has been designed to require only its addition to, and mixing with drinkable water without the need for other admixtures, however, it is compatible with a selected range of specialist admixtures for concrete including Ability’s Efflorein® Mark 2 multi-purpose admixture. Please contact Ability for information on specific admixtures, products and mix designs. 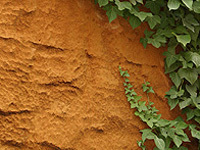 Fultone Mortar 8 is supplied in 20kg multi-wall paper sacks. For maximum shelf-life, Fultone Mortar 8 should be stored in its original sealed packaging, out of direct sunlight, in appropriate, dry conditions. When kept dry and stored under low humidity conditions in its original unopened packaging, Fultone Mortar 8 has a storage shelf life in excess of 12 months. For further Health and Safety information, please refer to Fultone Mortar 8 Safety Data Sheet (SDS).